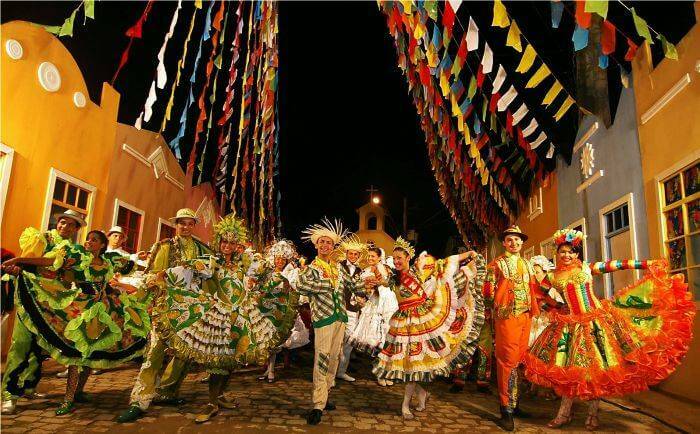 This is the most famous festival and is being celebrated since the 18th century. It was started by the Portuguese who ruled the state for more than 5 centuries. The celebration is an expression of the 40-day period of fasting of Lent, during which abstinence from meat is a rule until Easter. 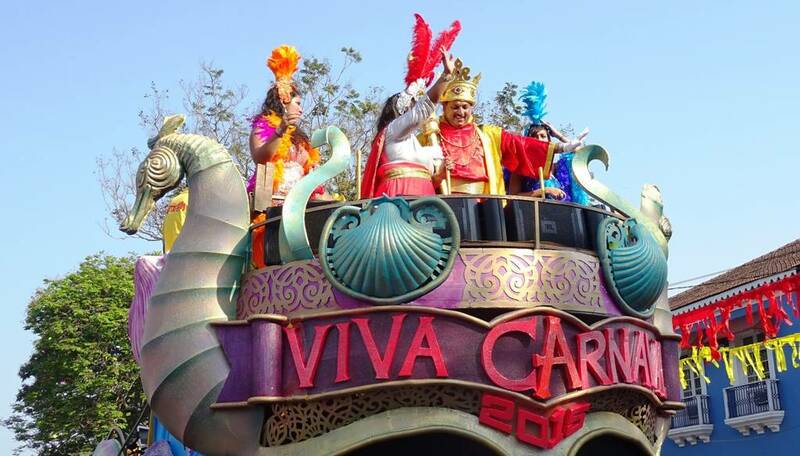 The carnival has colorful parades and enactment of mythologies. 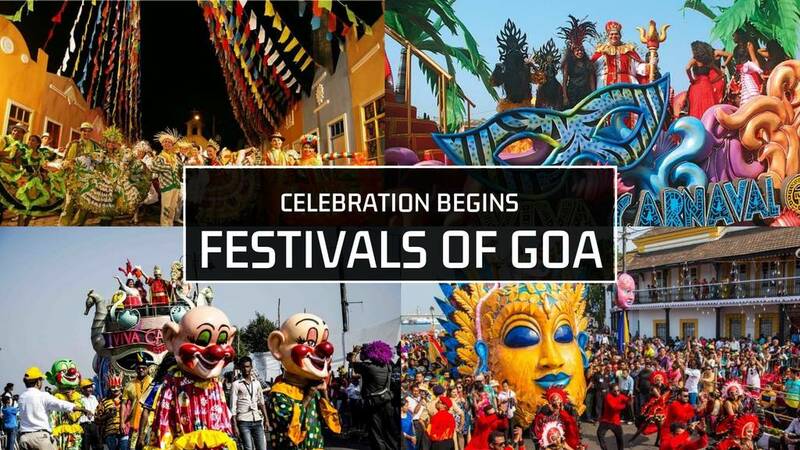 It's vibrant colors in the costumes, dances, and flags make it the most happening fest of Goa. 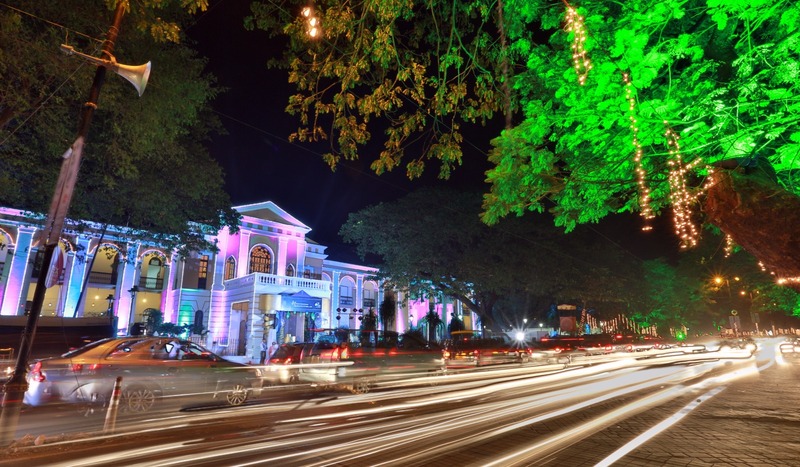 Main Attraction: It culminates at Panjim with the famous Red-and-Black dance. The Feast of St. John, the Baptist is celebrated on 24th June every year as thanksgiving for the arrival of monsoons. 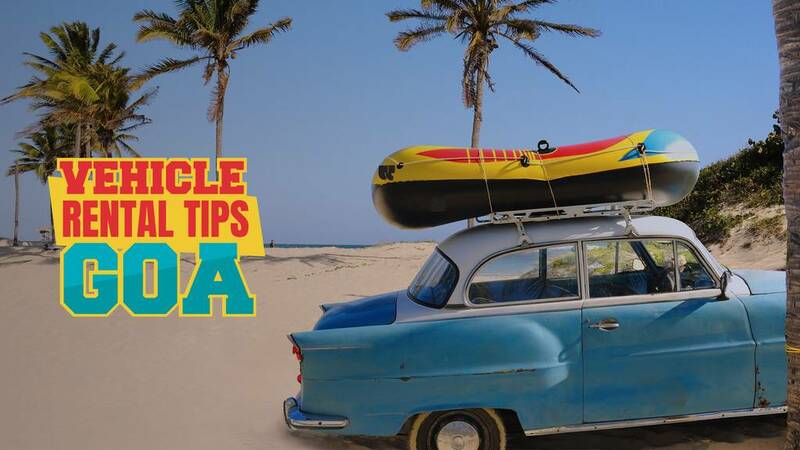 The most obvious indication of monsoons is the filling up of water bodies which is why young people celebrate it by jumping into lakes, streams, and wells. It is further celebrated by organizing of boat races and having Feni. 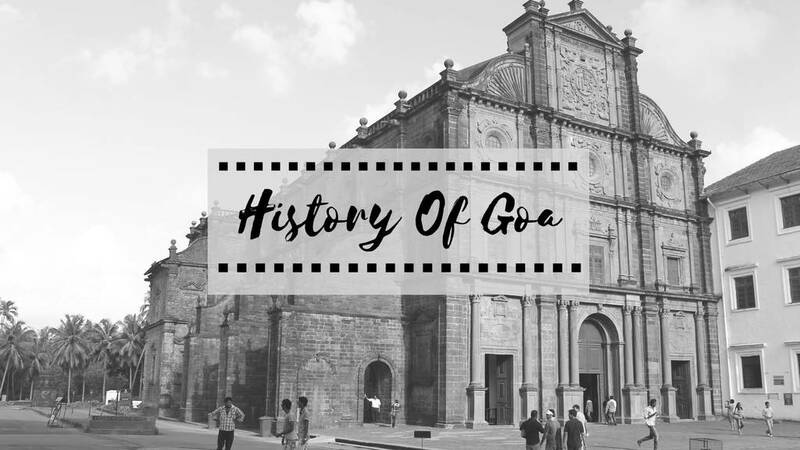 Celebrated in the month of December, this feast is celebrated every year in Old Goa at the Basilica of Bom Jesus. 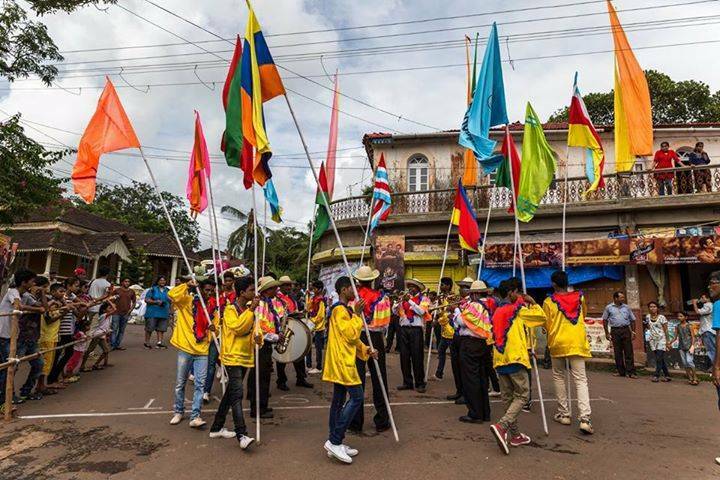 Preceding the feast of 9 days of Novenas are held and attended by pilgrims from all over the world. There is a fair too where vendors sell sweetmeats, toys, and clothing. The body of St Francis Xavier lies in a silver casket in the Church of Bom Jesus in Goa. St Xavier was a great Catholic missionary, who preached the Gospel of Jesus Christ to the people of Asia. 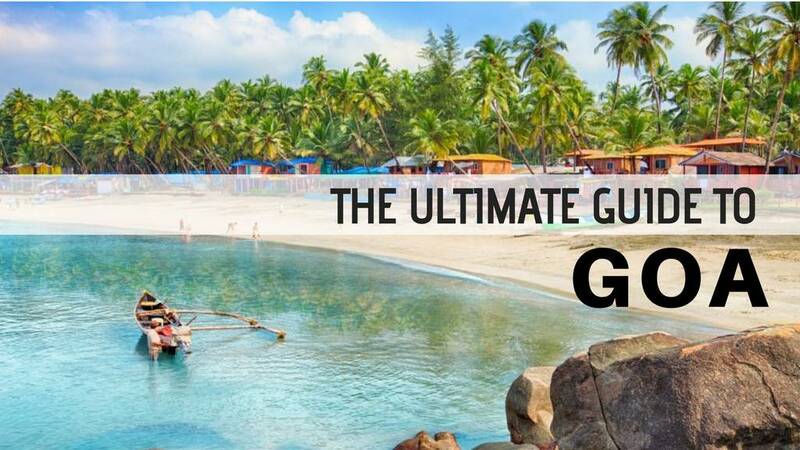 It's definitely one of the most famous festivals of Goa that you can't miss out on if you're visiting Goa in December. Main attraction: Ceremonies to honor his death are performed on December 3, the day he was buried. During the Portuguese colonization period, there were intense disputes about sharing of land between two sides of the Divar village. This quite frequently led to conflicts, violence and chaos. As a solution, the government at that time (Portuguese) marked the boundaries with flags. Hence the festival involves the presentation of mock battles and colorfully painted boats. Commences: Takes place on the 4th Saturday of the August every year. Main attraction: Float parades and live music performances. A big festival and team sport across India, Dahi Handi is known as Krishna Janmashtami in the other parts of the country - it is celebrated to address the birth of Lord Krishna. The celebrations started with Vrindavan where Lord Krishna was brough up but the festival became popular in Goa as well. The festival is reenacted in Goa as the locals hang clay pots full of yogurt at a great height and later groups of men and boys make human pyramids to break them. 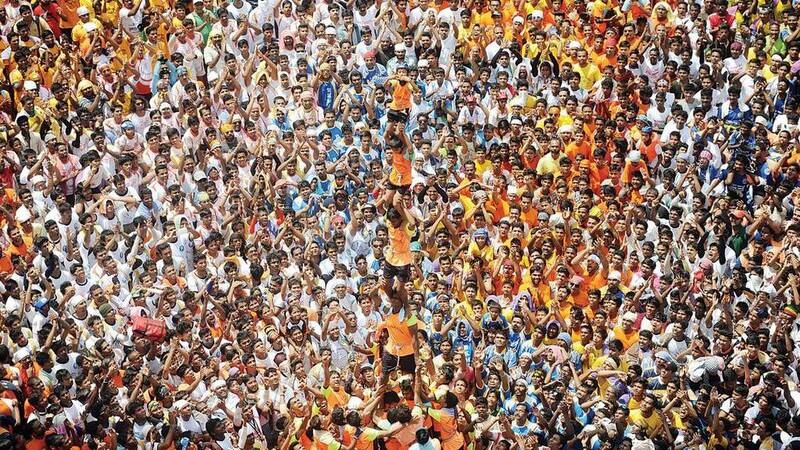 It's one of those Goa festivals that's worth a sight if your city fails to capture the real beauty of Dahi Handi. 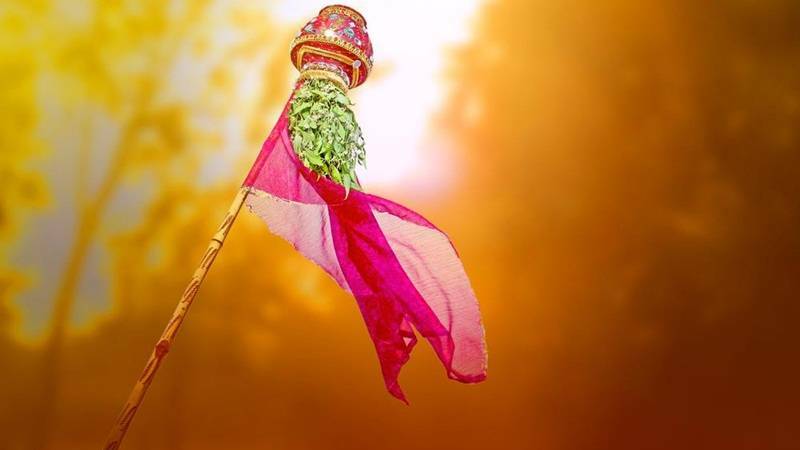 Families all over from Goa gather together to celebrate Tulsi Lagna where they paint a fresh coat tulsi vrindavans and deck them up with flowers. Lamps & Candles are lit adding to the festive spirit. It's basically a cermonial marraige of the Tulsi plant to Vishnu/Shaligram (Hindu God). It marks the beginning of the wedding season and end of the monsoon season. Gudi Padhwa or Samvatsar Padvo festival is a very famous South Indian Festival - also known as the Hindu New Year Day. It is celebrated every year in the month of March or April. The real celebration includs folk dancers performances which take places in Gaondongri, Sanguem & Sattari. 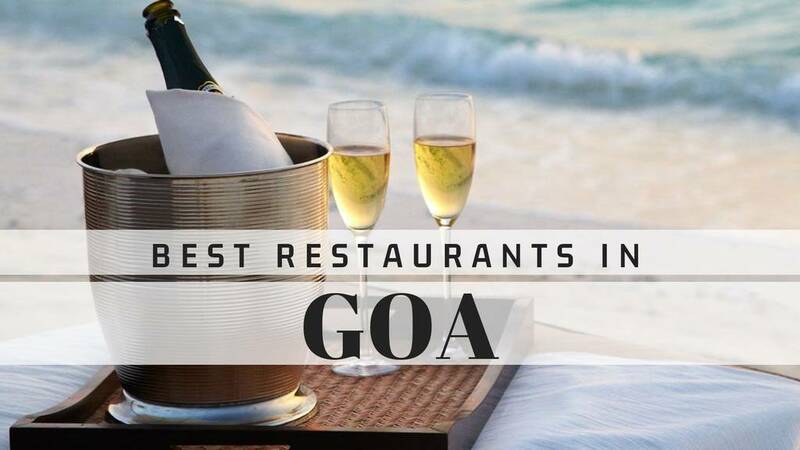 People of Goa cook vegetarian dishes like Sanna, Kheer, Poori, Puran Polic, Shrikhand & Sweet Potato. Women also make rangolis on their main entrance. It's also known as the day when Brahma recreated the world after massive destruction. 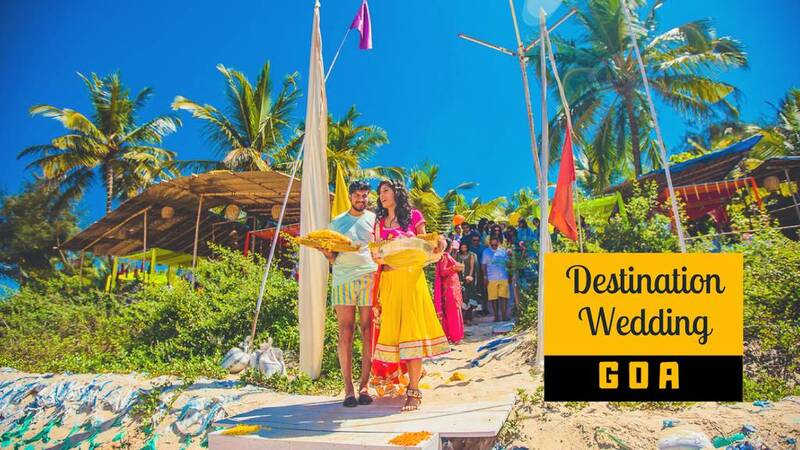 Gudi Padhwa is definitely a tradition festival that you need to be a part of so next time make sure you visit Goa in April. 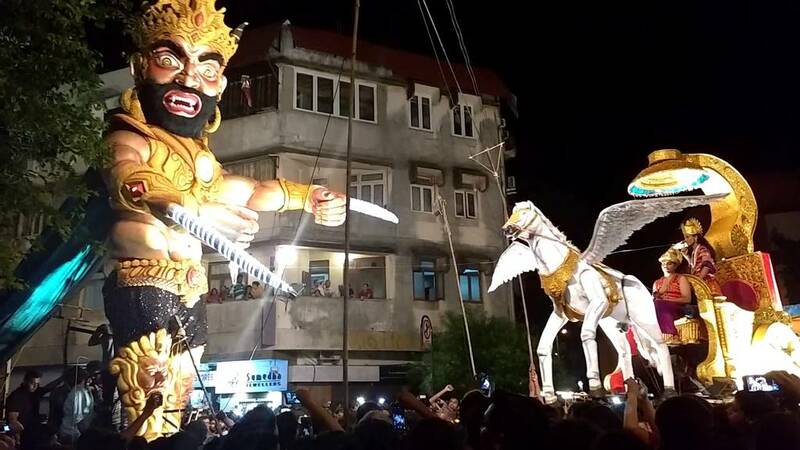 As the rest of the world celebrates Diwali, Goa has it's own way to celebrate this beautiful festival by burning huge effigies of the demon Narkasur who is known as the legend of Diwali. According to the story of the legend of Narkasur who ruled the beautiful land of Goi obstained lots of powers and became very authoratative. He started to spread terror and cause tremendous destruction. 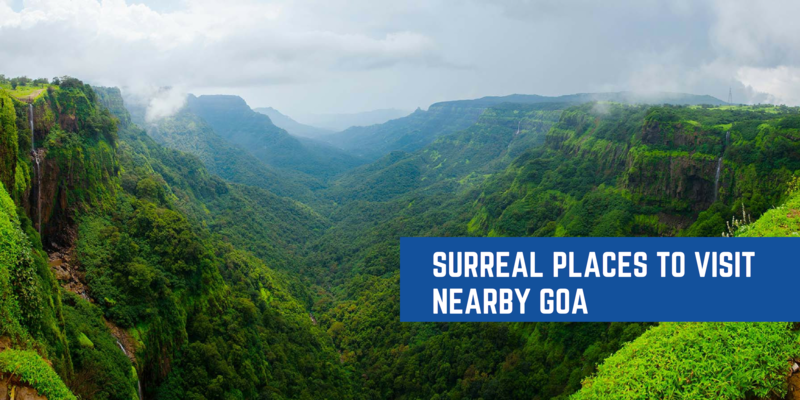 People of Goa prayed the gods and asked Lord Krishna for help - Lord Krishna shot his famous Sudharshan Chakra and cut off the evil head of Narkasur. Hence as a symbol of victory of good over evil - This festival is celebrated. 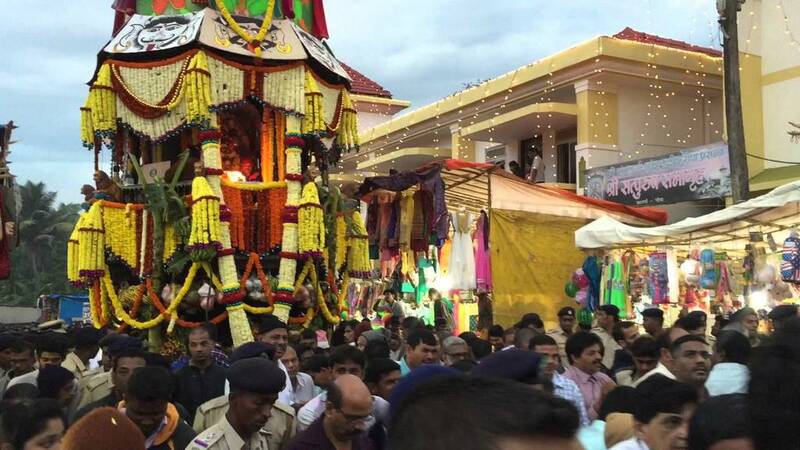 Zatra is a also a Konkani term for pilgrimage festivals celebrated at Hindu Temples in Goa. During Zatra, The murtis of Hindu dieties are taken out on a special procession in a Palanquin or a chariot. It occurs after Diwali and continues until Shigmo. Devotees flock from different corners together to carry forward this procession. Festival time: All Zatras happens after Diwali in October and continues until the Shigmo or Holi festival in March. 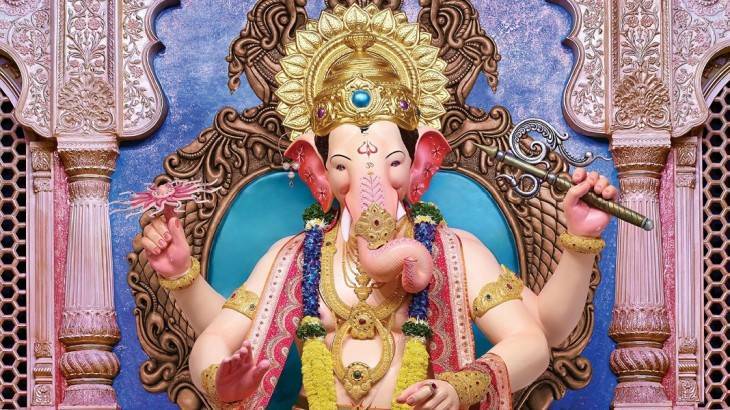 This festival in Goa is symbolized by the work of life-like clay idols of Lord Ganesha. It is celebrated for two days and can also go up to 21 days. 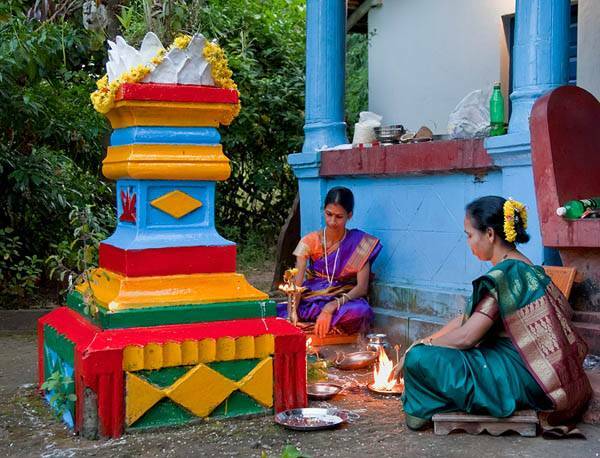 People decorate their houses and conduct pujas where the priest clad in saffron dhoti and shawl invokes life into the idol through chanting of mantras. 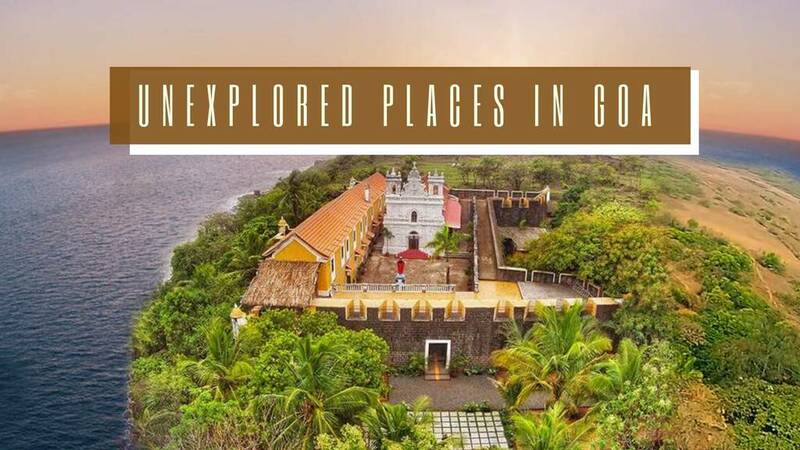 One should definitely visit the Hanuman Temple at Altinho and also witness the artistic installations of Lord Ganesh in Panjim. 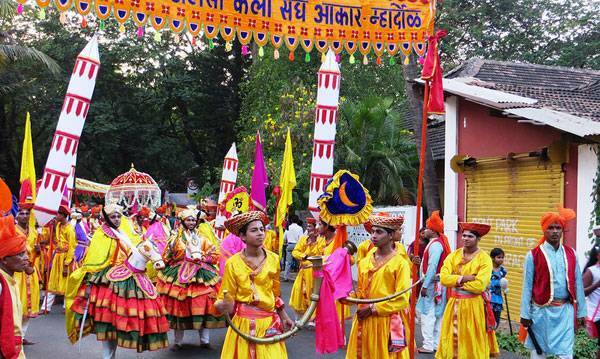 Shigmo is a religious festival with a social core. It's known as Holi in the rest of India. Shigmo parades consists of traditional folk dances and traditional music where depict scenes from mythology. 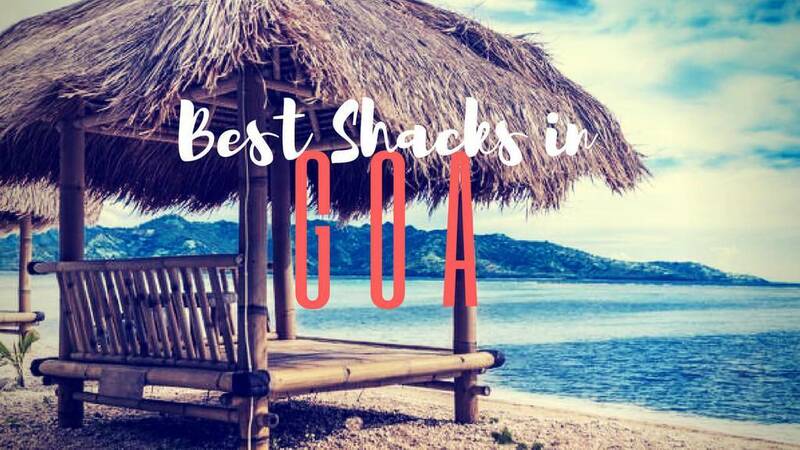 It's celebrated in the rural parts of Goa spanning over a fortnight. It is linked to the lunar calence hence it's date varies according to Gregorian Calendar. 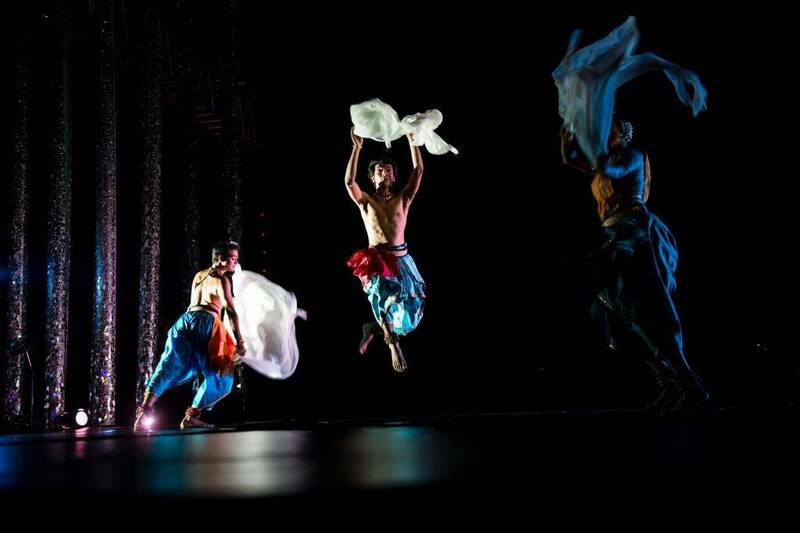 It's a multidisciplinary festival that brings together visual, culinary and performative practices from India and other countaries in a way you have never seen before. 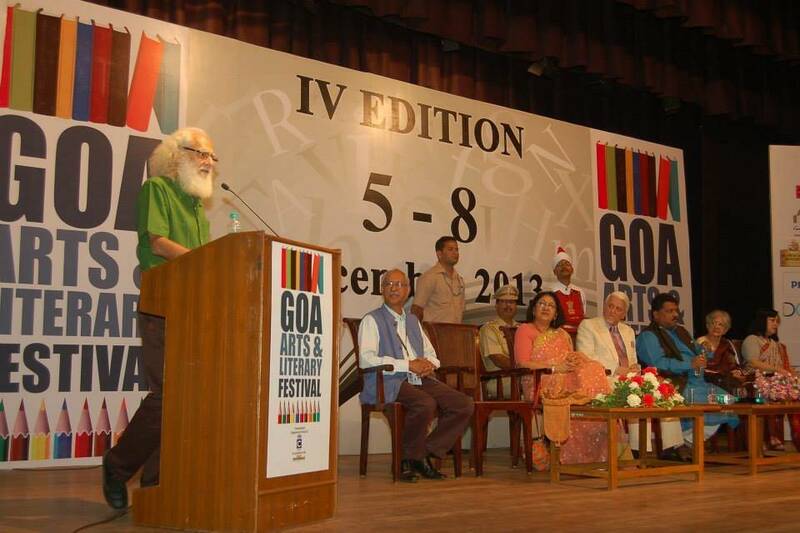 It's spread across various venues in Panaji, Goa - The festival is a perfect platform for budding artists to showcare your work and collaborate. 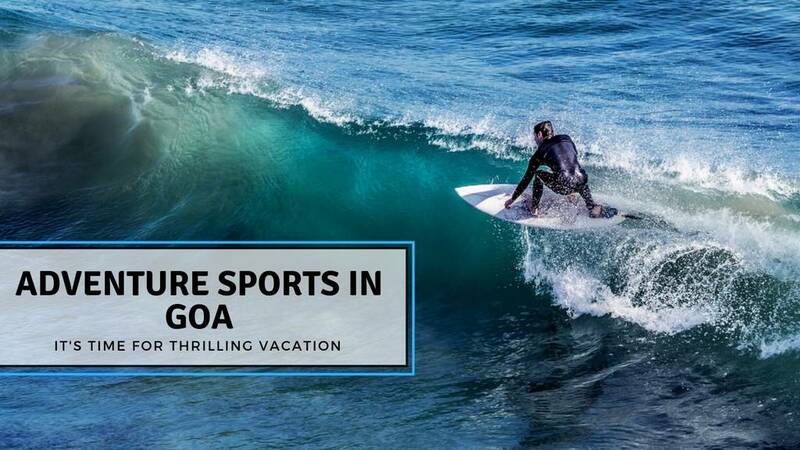 These events in Goa are definitely worth attending as they've got the best showcases waiting to be witnessing by you. Main attraction: Akshayambara, Line up of scintillating programmes spanning music, dance, theatre, visual arts and culinary arts, Exhibition. 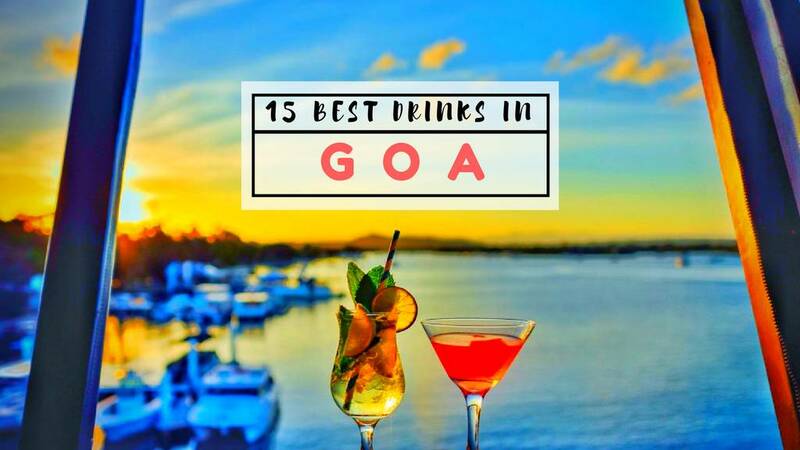 It brings together various writers, poets, novelists, musicians, etc, the best in their fields and proves Goa to be not just a hippy and party place to be in but an artsy place too. GALF also is known to have "consistently hosted some of the best lineups of contemporary poets ever assembled in contemporary India" with names like A.J Thomas, Rinzin Rinzin, Prabda Yoon, & Elizabeth Flock. 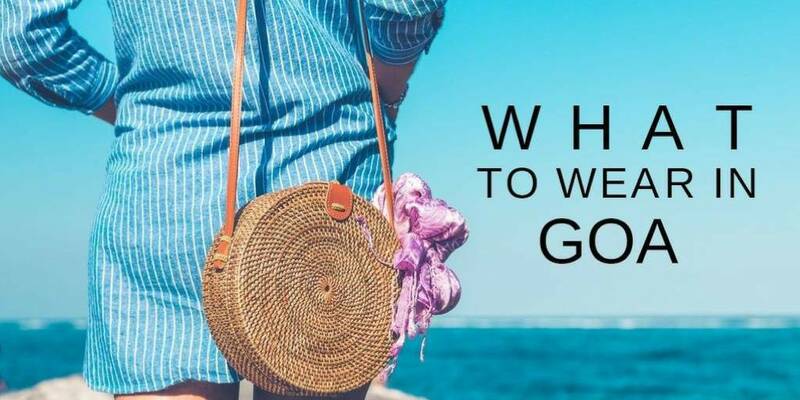 It's time to book your tickets wisely, visit Goa in December to be a part of this artsy festival and enjoy the party season as well. 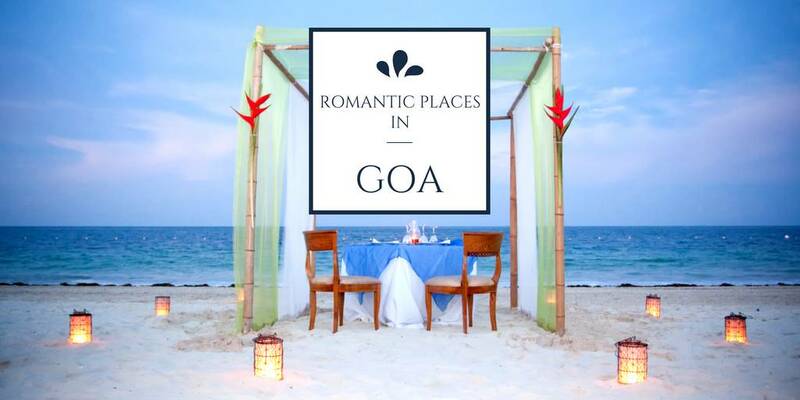 Being one of the biggest wine festivals of the country, its captures the Goan culture and lifestyle. 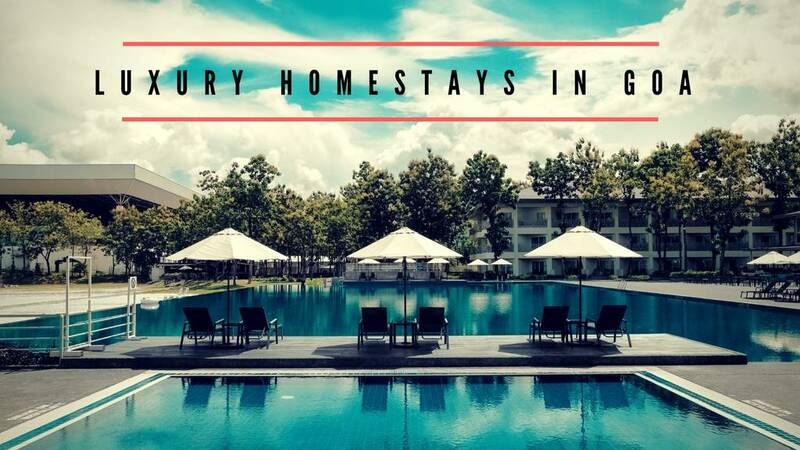 It brings together various hoteliers, restaurateurs, wineries, grapevine and wine connoisseurs. 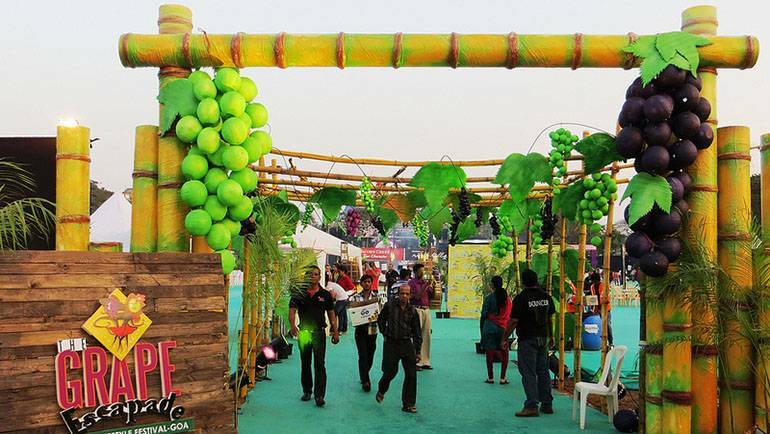 The festival is a must to enjoy lavish wines. Crushing the grapes with your feet as a tradition is the highlight of the festival. Go and treat your taste buds to the exquisiteness. This is one of the biggest film festivals of the country and is attended by the glitterati of the film industries around the world. Various directors, producers, writers, critics, actors, distributors and movie buffs attend it to get updated with the latest genres of the silver screen. It is also graced with various food stalls and games. A number of movies are screened and awarded. 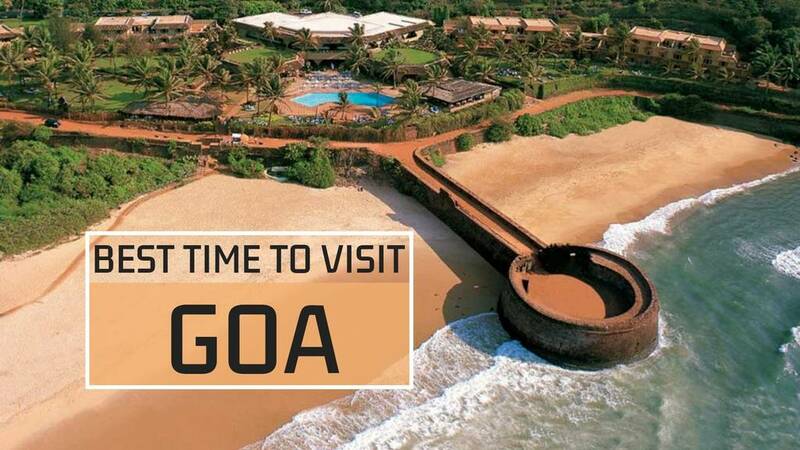 Q: What is the best time to visit Goa? 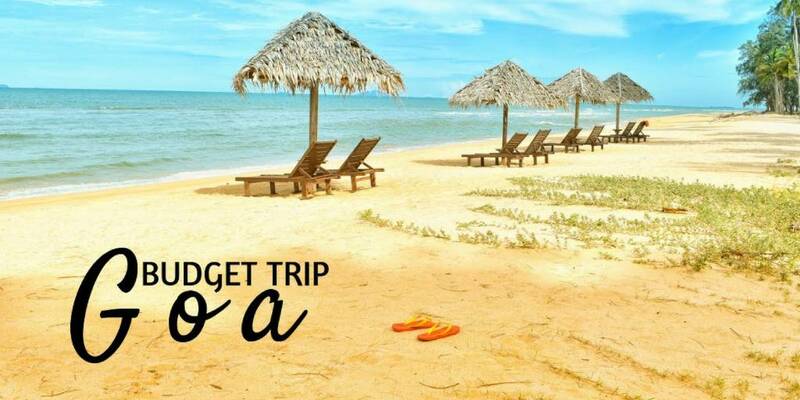 Q: What is the minimum amount you can make a Goa trip plan in? A: Rs. 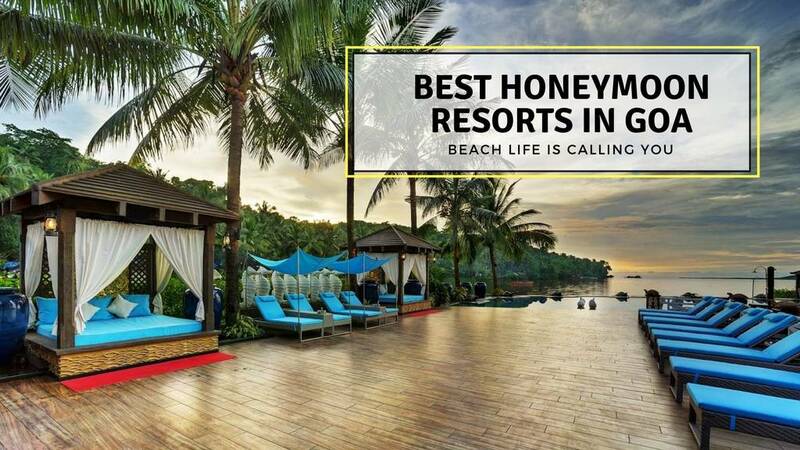 5000 for 2 nights and 3 days. 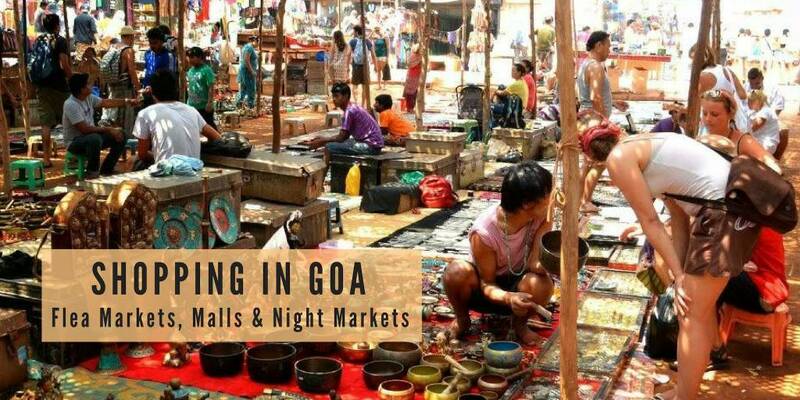 Be prepared to sleep in a dormitory and have street food and travel by local Goan transport buses. 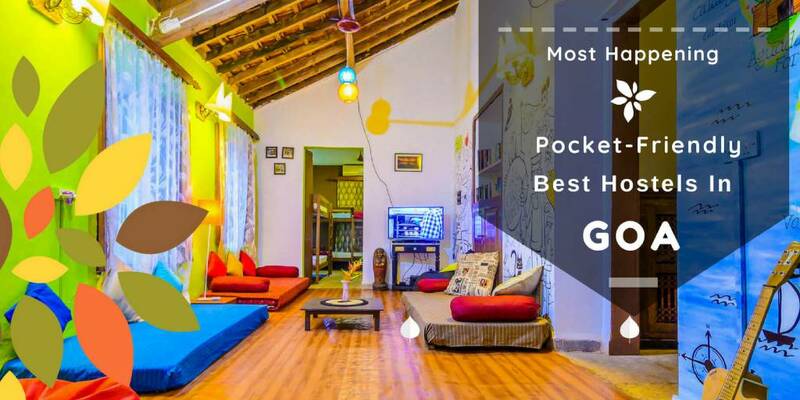 Q: How much would a one-day trip to Goa cost? A: Approximately 12000 INR per head if you optimize on all the costs.